Recently, I’ve been reading Simple Money Magazine. Its articles take a straightforward approach to managing finances. It’s not an investing guide and isn’t focused on the latest buzzwords of the personal finance sector. Instead, it’s full of common-sense, but sometimes surprising, articles on managing money. You might not find Warren Buffet here, but you will find great down-to-earth advice for real families. It’s ad-free, reader-focused, and features expert contributors writing practical, helpful content for the modern American family. Each article is chosen, not because of click-baity headlines, but because it contains information that regular people can actually benefit from. Every issue of Simple Money Magazine features 8-10 contributors in the field, each addressing common financial needs of the family. In the first issue, (which by the way, you can read for free,) writers cover everything from how to have a happy money relationship, common money mistakes smart people make, getting out of debt as a couple, and more. And to my knowledge, it’s the only financial publication to offer a $20 lifetime subscription. That’s pretty hard to beat. They’re currently running a buy one lifetime subscription, gift a lifetime subscription, though the end of October. 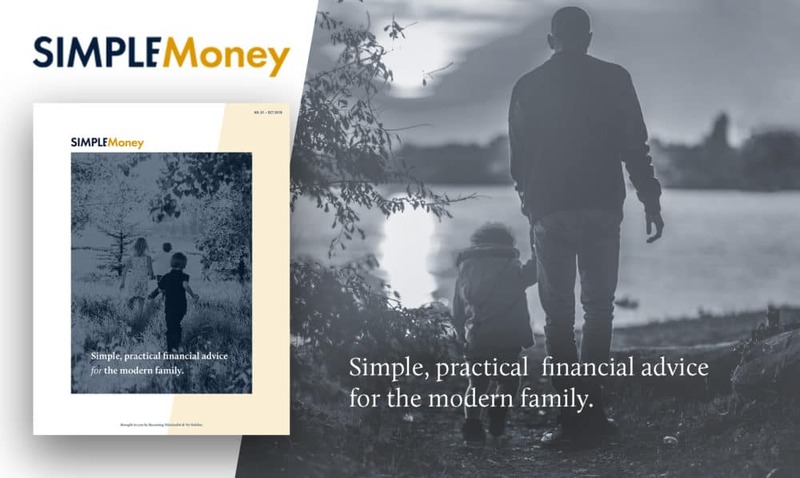 You can read more about Simple Money Magazine, and grab the first issue for free, here. Bitcoin and cryptocurrencies in general are really hitting the headlines at the moment, with people all over the globe hoping to invest and get their hands on some of this digital currency. Although the concept of cryptocurrencies is relatively new, they have actually been around for a while now, existing since 2009. Although the Bitcoin was the first fully formed cryptocurrency, there were various attempts to create it before that. For example, B-Money and Bit-Gold were both predecessors to Bitcoin, although neither was ever fully developed. In 2008, a Bitcoin related whitepaper – A Peer to Peer Electronic Cash System – was posted by someone calling themselves Satoshi Nakamoto, whose real identity is still unknown. From this whitepaper, Bitcoin truly began in 2009. Seeing as we don’t know the true identity of its creator, it is difficult to know just how wealthy that creator is today. In 2011, rival cryptocurrencies began to emerge on the market, the first of which was Litecoin, closely followed by Namecoin and Swiftcoin. Two big players in the cryptocurrency game who actually didn’t earn their fortune through Bitcoin are Chris Larsen and Changpeng Zhao, both of whom rank in the world’s billionaires. Rather than Bitcoin, they have made fortune through the larger and more rapidly expanding ecosystem of cryptocurrencies. Chris Larsen is the co-founder and former CEO of the cryptocurrency Ripple, a network that was created with the aim of making global transactions easier and cheaper. He is also the CEO and co-founder of the brands Prosper and E-Loan. The research team at BitFortune claims that Larsen owns 5.19 billion Ripple and has a 17% stake in his company, so it is no wonder he is one of the richest persons in the world. Changpeng Zhao, on the other hand, is the CEO of the cryptocurrency exchange known as Binance. At the moment, this exchange is extremely popular, becoming the largest exchange of its kind in just 180 days of existence. In 2013 he first heard of Bitcoin, and it is this that opened a window into his future. Binance stands out from its competitors as it is extremely fast, processing up to 14 million transactions every second. These are just two of the many people who made fortune through the cryptocurrency market, and it is not looking likely that this trend it slowing down any time soon. 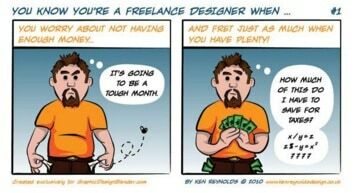 There are a many creative professionals trying to become freelance designers. The field of graphic design is constantly and rapidly changing. As a specialist, you have the liberty to learn new skills and constantly improve. It is even more important to focus on your creative skills and pushing your limits. The freelance scene is overcrowded and it can be difficult to find your niche. 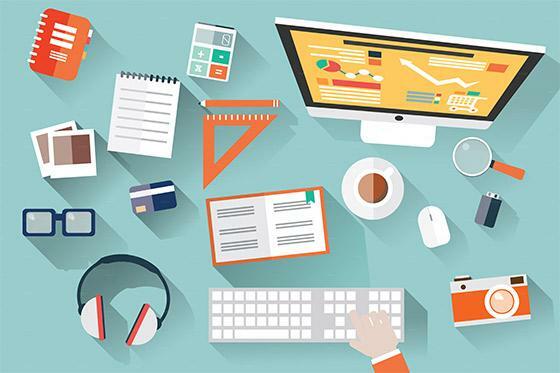 Below are 10 recommendations for freelance designers who are looking for ways to become successful. If you do not have an established personalized style or logo, you will never stand out from the crowd of other designers. There are thousands of them but not all of them are successful because they are not memorable. Brand yourself! Freelancers receive their income for the hours they spend working. You cannot charge for your hours as you will spend some time on self improvement, learning new skills, accounting and admin work for yourself. You are free to increase your prices with every new successful project. Gaining new experience and creating different types of work will help you improve as a professional. Get to know your customers better. Learn what they need and what you can do to solve their problems. Remember: never promote yourself as the top designer that’s capable of everything. Include only specific types of work you are proficient in and your self-promotion will be even more effective. Inspiration is something that comes naturally. If you are feeling a lack of motivation and ideas, don’t just sit and be fussy about it. Switch off from these challenges: take a walk, watch your favorite movie, cook a delicious meal and you will come back stronger! However, don’t let yourself procrastinate all day long; you have a lot of work to do. Listen to other professional designers speaking and sharing their ideas and learn something new. When trying to find inspiration, remember you have that handy tool – your camera. As a designer and an artist, you have a unique vision of this world so use it to inspire yourself and those around you. If you have some ideas but your customers are not going to buy them right now, offer them for free or mention that you can re-brand them. Business cards, logo, websites, various mock-up models… anything! You can also use them for your portfolio. These tasks will keep you on your toes. Moreover, you can donate your works to schools or organizations, if you want to. They will appreciate it and you will get a great experience and feedback that will boost your productivity. about your income if you will work with month to month clients and simultaneously with your regular customers. Don’t be afraid to ask for a 50% deposit of the project cost. You have the situation under your control, because they are the ones who need your skills! If you want to avoid any issues with payment – don’t start your work until you have a part of the cost in your pocket. This is normal practice, so don’t be shy. They keep in touch with you and come back in a while. Even if you are an incredible designer but your SEO is not up to standards, you will not survive in the world of freelance. 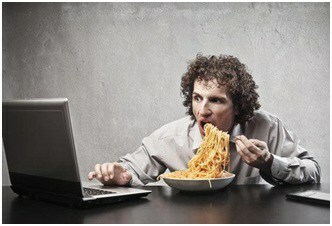 Optimize your website or hire a SEO-specialist to do it for you and you will be amazed at the results. Sketching is an effective way to keep your ideas in place and work with them in detail. Sketching with the help of a pencil and a notebook will let you do that at any time even if you have no access to your computer and other software. If you want to explore your ideas and concepts quickly, you have continue sketching. This will help you to have all of your ideas and their variations at hand. Work with your ideas on paper and then move your drafts into digital to save time. Brian Jens is a professional writer who constantly keeps in touch with the most interesting up-to-date topics. At the moment he’s a blogger and moderator on a crowdsourcing website. He likes modern technologies, upcoming trends, graphic design, and much more bright stuff. This is a guest post from Brian Jens at Design Contest. The design environment seems to be very changeable; however, we can’t say that trends appears early in the morning and fade in the late evening. Of course, the design evolves, but its development directions rather change/enhance each other than appear from nowhere. Some ideas and patterns arise within large digital communities such as Dribbble or Behance, but only a few experts can predict exactly what trend will affect the future of design. Trends are not short-term; they never disappear completely without any heritage. All of the major trends that will be relevant in the second part of 2016 didn’t appear out of nowhere: they have already been dominating for the past few years, gradually changing while remaining totally recognizable. 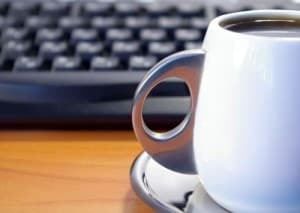 Need to write blog copy for yourself or a client? Blog copywriting is a little different from other types of copywriting. This is a chance to share the writer’s personal viewpoint – and personality. You may be discussing a business-related subject, but in a blog, your personality, or your client’s, can shine through. That said, don’t go overboard. Some topics and ideas just have no place in your business blog. Trust me on that one. Blogs help to establish someone as an authority. Feel free to give your two cents and draw on your own experiences. Blogs should be conversational. Loosen your tie (so to speak), relax and write as if you were talking to a friend or colleague. Your blog must be relevant, informational and easy to read. In a blog, you can write about a current event, industry trend or personal experience, even as it’s happening. Keep your copy punchy and easy to scan. Use bullet points. Because you want search engines to find you, use plenty of keywords. As a Virtual Assistant, your blog can tell a story, communicate ideas, draw media attention and drive traffic and sales. But be sure to follow these guidelines, because before it can do any of these things, your blog needs to be read… and read… and read. About the Author: Allison Nazarian is a writer who works closely with organizations of all sizes to put stories into words. Learn more about Allison and her services at AllisonN.com.